Powered by pedals, the Chad Valley Ride on Tractor and Trailer features incredible detail for that genuine look. With wide wheels and easy grip, this is fantastic activity toy for getting your most cherished on the go and incorporating explorative role play with it. 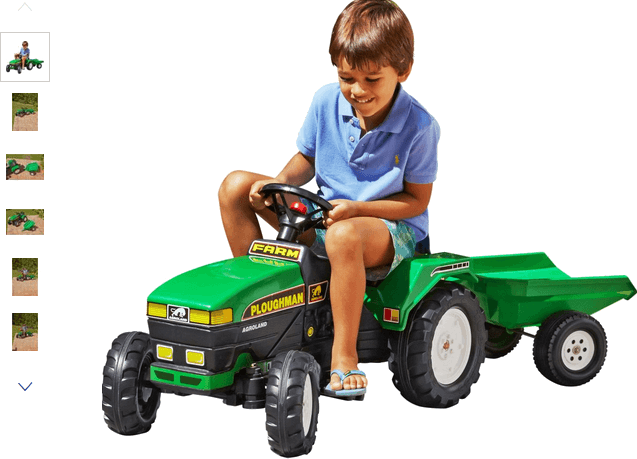 Little ones can meander the tractor round the garden, collecting and delivering those important packages in their trailer as they do so. Get money off with April 2019 free Argos voucher codes, see if there's a discount code for the Chad Valley Ride On Tractor and Trailer product.